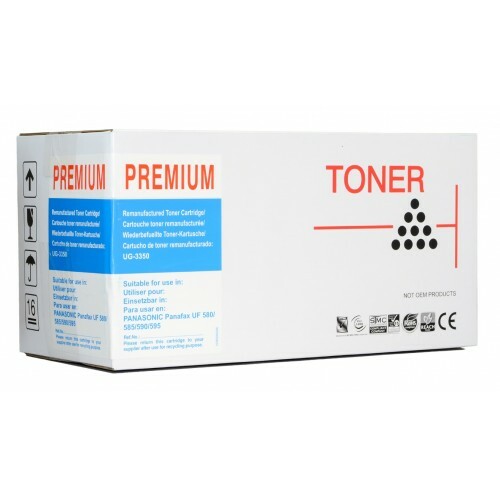 A compatible Panasonic UG-3350-AUC black toner cartridge. For use in Panasonic DX600, UF585, UF590, UF595,UF6100 series copiers. Yield: 7500 pages at 5% coverage.